Plenty of times I talked about my distaste for Megyn Kelly and her having taken over the 3rd hour of the, "Today Show." I was quite pleased when that reign of terror ended, but was curious what the 3rd hour would then hold. 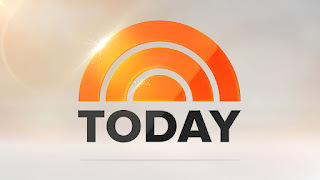 It has been in a bit of a transition period for a bit, but now it will officially be the home of a bunch of hosts I enjoy such as Al Roker, Dylan Dreyer, Craig Melvin, and Sheinelle Jones. I enjoyed watching the gang lately in this time-slot (I also still of course watch, "Great Day Saint Louis," which occurs at the same time, but thanks to DVR I can tape both shows to watch when I please) and am excited to continue viewing them! Yes, the third hour of the, "Today Show," is a delight again, and it brings me immense joy.